AirAsia, the World’s Best Low Cost Carrier, is officially painting Clark skies red with the airline's first international route from Clark airport. AirAsia flight Z2 5126 with pilot in command AirAsia Philippines Chief Executive Officer Captain Dexter Comendador left Clark International Airport at 5:25 PM and arrived in Taipei's Taoyuan International Airport at 7:30PM. 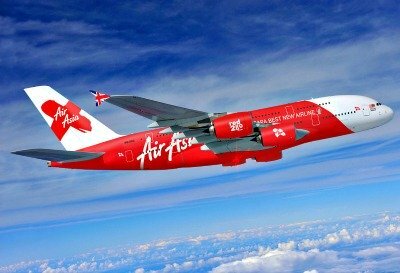 AirAsia Philippines CEO Captain Dexter Comendador said, "We are officially painting the skies of Clark airport with AirAsia's iconic color. Our return to international skies via Clark hub reaffirms our commitment to travelers in Central and Northern Luzon and Metro Manila who truly deserve nothing but only the best quality service, affordable airfare and efficient connectivity." To celebrate the airline's Clark - Taipei route, Taipei Economic and Cultural Office officers and Philippine government officials led by TECO Deputy Representative, Minister James Chu, Regional DOT Director Carol Uy and CIAC President Alex Cauguiran joined the send-off ceremonies at the airport with AirAsia Philippines Chairperson Maan Hontiveros. Taiwan inspired decorations adorned the airport with passengers and guests enjoying Taiwanese street food and entertainment. Aside from Clark - Taipei route, AirAsia also flies to domestic destinations of Iloilo, Caticlan, Davao, Cebu and Tacloban from Clark. "It feels so good to be back where we started. From two planes in Clark in 2012 to 20 jets as of today and we expect our fleet to grow to 70 planes in the next 10 years, we are thrilled to be here again and begin another journey to serve, empower and enable every traveler to dream big and connect across Asean, Asia and the world," Comendador said.